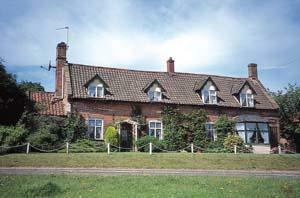 Poppylands and Puddleduck cottages are 1 & 2 bedroom cottages set in their own gardens. Fully equipped with colour TV, microwave. From Norwich follow the A140 to Cromer untilyou reach the village of Roughton approximately 17 miles, turn right onto the B1436 Thorpe Market Road, follow the B1436 until you reach the junction. From Gunton Railway Station Bus every 0.5 hour from Cromer and North Walsham.